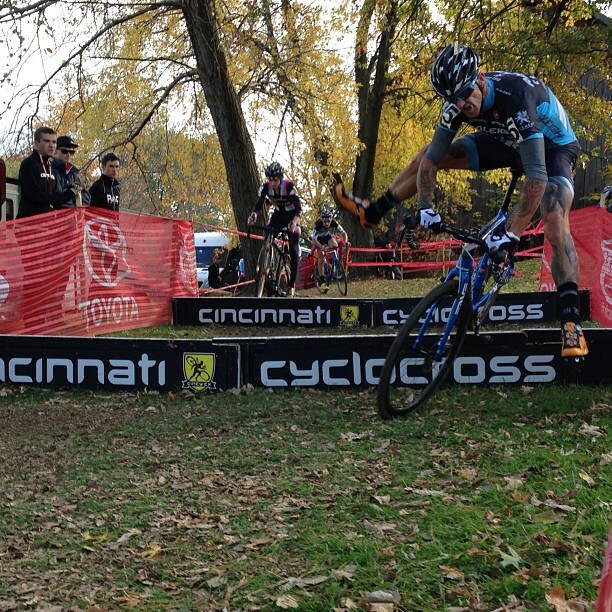 The Raleigh-Clement Cyclocross Team rolled to the Cincinnati International Cyclocross Festival this weekend for some full-tilt racing. One of the oldest cyclocross race weekends in the Midwest, the event is three days of UCI-ranked events in the greater Cincinnati area. RELATED: The Raleigh-Clement Team rides Raleigh's RXC Pro Disc. Read about the bike and locate a local dealer. The highlight of the weekend was Raleigh-Clement’s leader Ben Berden holding down first place in the Cross After Dark series, a four-race collection of night races in which Berden is the defending champion. It all started Friday afternoon at Covington, Kentucky’s Devou Park, just across the Ohio River from Cincinnati. The hilly course is one of the hardest on the U.S. circuit. Raleigh-Clement's Allen Krughoff started fast and was one of the more aggressive riders in the early laps with teammates Ben Berden and Jamey Driscoll close on his heels. The pace was hot and when the dust settled, it was Ryan Trebon of Cannondale/Cyclocrossworld.com on top, with hard-charging Driscoll in third, Berden in fourth, and Krughoff in seventh for a great team showing. In the women's race, Raleigh-Clement's Caroline Mani got off to a blazing start, but would unfortunately run into problems and abandon the race. Her teammate Rebecca Gross earned 10th place, while Katerina Nash of Team LUNA Chix was first. Day two was the UCI night event at Kingswood Park, stop three of the Cross After Dark series. Mani again had a fast start, but crashed hard in the first sweeping turn and was slow getting up. While the peloton swarmed past it wasn't clear if Caroline was injured, but thankfully once untangled she reported only heavy bumps and bruises, vowing to return for day three. 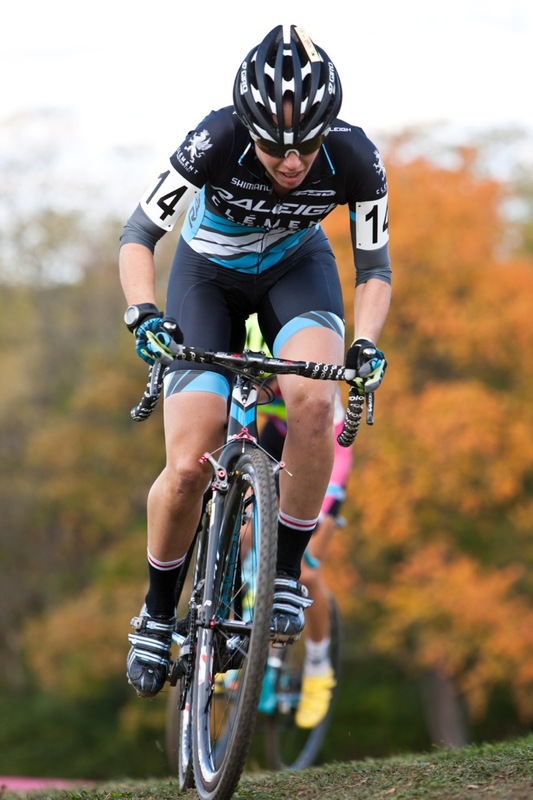 Gross finished in 11th, while the win went to Katie Compton of Trek Cyclocross Collective. In the men's race, Berden attacked the first lap, using the muddy and dark course to create a gap to the field. With a long string of dry, tactical races so far this season, Ben tried to make something happen. But veterans Tim Johnson and Ryan Trebon knew exactly what a danger Berden can be in the mud and they covered his every move, eventually powering to a one-two finish. Berden settled for fourth place, but his consistency kept him in the lead of the Cross After Dark series. Teammate Driscoll was sixth, while Krughoff ran into problems and was not able to finish. The Cross After Dark series will conclude at Los Angeles, California’s CXLA on November 30th. Day 3 was held at Harbin Park under sunny skies. Mani put aside her crash from the day before and took a well-earned sixth place, with Gross in 13th. First place went to Katerina Nash, who out-sprinted National Champion Katie Compton. On the men's side, it was Johnson again taking the win. The Raleigh-Clement boys fought hard to unseat the pecking order and came close, with Berden finishing fourth and Driscoll fifth. Next week the Raleigh-Clement Team heads a few hours south to the MudFund Derby City Cup in Louisville, Kentucky for two days of racing at the site of last season's World Championships.